Are you looking for an easy and simple way to create a Payoneer account for free? If your answer is yes, then you’ve definitely come to the right place because We’ve got you covered with this simple step by step guide on how to do just that from any country you might be in. So you are a freelancer and have been working or offering service online in return for cash. And would like to withdraw said cash in your country. Thanks to Payoneer, you can now successfully and easily withdraw your cash to your local bank account or use the debit card at any MasterCard supported ATM. 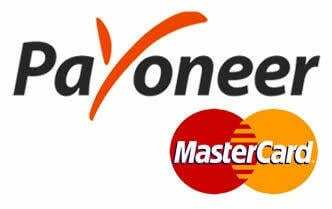 Payoneer is an international gateway that issues its customer a debit card upon registration and links said card to a Virtual US bank account. This virtual Account helps you to receive money for services rendered online. You can also withdraw your money via the debit card from anywhere in the world as long as you have access to an ATM or simply just withdraw straight to your local bank account attached to your account. ● Buy Things from online shopping malls. ● Place advertisements on Facebook. ● Send Money to other Payoneer users. ● And a lot more. ● Your Correct and Full House address. ● National ID Card or International Passport. ● Head on to the Payoneer Website. ● Click On Sign Up Button and Select Individual. ● Now Fill the 4-page form. (Name, E-mail, Home Address, Date Of birth, ID Number, Local Bank Account Details) and Submit. ● An Email Will be sent you with some details about your account and an estimated date of your Payoneer debit card Arrival. How To Confirm A Snapchat User’s Score & Streak? How To Get Rid Of A Facebook Pixel? ● That’s it. Now you can start receiving your funds and also withdraw it straight to your local bank account attached to your Payoneer Account. You can also withdraw via the debit MasterCard when it reaches you. Note: Make sure you fill in the right address while filling the form for the Payoneer Account. There is a column for address 1 and 2 just In case the address is too long, you can continue in address 2. It should take about 3 to 4 weeks for your card to get to your address, that is if you filled the address correctly. Now that you’ve learned how to create a Payoneer Account, you can go ahead and create one for yourself. After that, you can start receiving funds from sites like Upwork, Fiverr and other websites that support Payoneer as one of its payment methods. I’ve had my card for a while and it has been working smooth, no complaints. If you are having troubles setting up your Payoneer Account, or any other Payoneer related questions, do not hesitate to drop a comment and I’ll help.